With crunchy cashews, crisp veggies, tangy vinaigrette, and lively cilantro, this Asian bok choy salad has tons going for it. And when you serve it with Sesame-Crusted Pork Tenderloin Cutlets for a meal that's a match made in heaven. For the vinaigrette, whisk together vinegar, soy sauce, oil, honey, zest, and lemon juice; season with pepper. 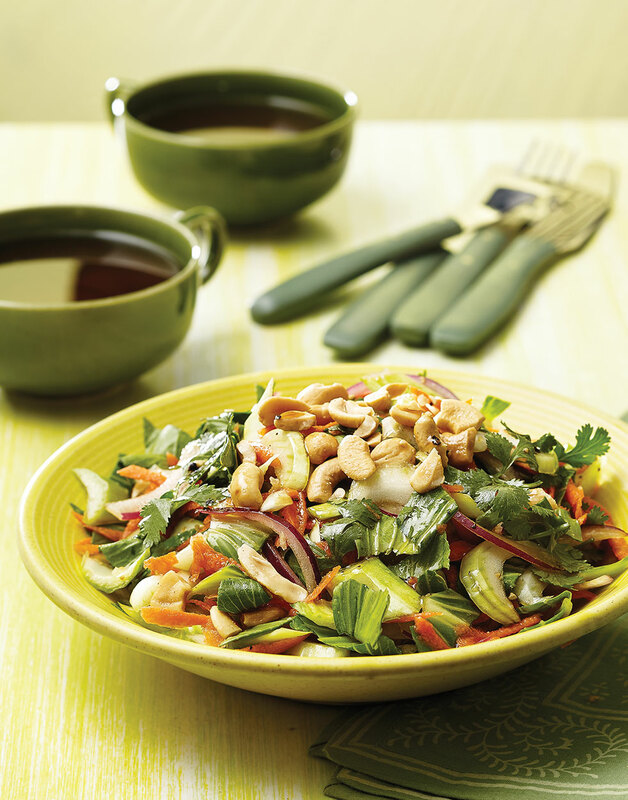 For the salad, toss together bok choy, carrot, onion, and cilantro; drizzle with vinaigrette.